View The 2019 Brochure & Map! “Please Touch the Art” will invite sighted and visually impaired visitors to go beyond looking at artwork and encourage them to use their sense of touch to experience each piece. The exhibit will address issues about the nature of aesthetic appreciation and perception of art. Is exhibiting art meant to be perceived through the sense of touch in conjunction with and/or instead of the sense of sight? The Humanities Exhibit will cover the history of accessibility in arts programming providing historical context on how arts programming has evolved through the inclusion of objects, technology and supporting documentation. Georgina Kleege will guest curate the exhibition and will lead a panel discussion that includes artists, as well as art and accessibility experts. "Look At You! Aren't You The Cutest Little Puppy In The Whole Wide World" on Exhibit through September 2019. Eddie Bruckner's Artwork Projected on Walls! On the evening of May 11, 2019 the Jamaica Plain Arts Council and Jamaica Plain Neighborhood Development Corporation will project artists’ images at sundown onto the outside walls of Jamaica Plain’s Brewery Complex. People will be able to view the art in a relaxed, exciting atmosphere, while enjoying live music, food and drink from local JP establishments. ​Eddie Bruckner's Original Hand-Painted Postcard on Exhibit in Edinburgh, Scotland. Proceeds from the sale of the postcards will benefit Art In Healthcare, an Edinburgh based charity. Principal Photography for Feature Film, "Avery's Sin"
Eddie Bruckner's artwork to be part of set design for the feature film, "Avery's Sin," a David Gere, Shadow | Vale Production. Principal Photography for Feature Film, "Dan and Carla"
Eddie Bruckner designed the Movie Poster for the upcoming feature film, "Dan & Carla". ​Eddie's artwork will also be part of set design for the feature film, "Dan and Carla" by K Global Productions and WE Filmed Entertainment, directed by Adiel Eshkenazi. You're Invited to the Exhibition Opening Party Friday, February 22nd, 2019, from 6-9 pm. Over 1,100 canvases will be on exhibit! February 23 and 24: 10 am - 6:00 pm. 21st Annual Visual AIDS Benefit Event: "Postcards From The Edge"
Exhibit Dates: February 22-24, 2019 at Bortolami in Tribeca. will benefit Visual AIDS, a charity that utilizes art to fight AIDS by provoking dialogue and supporting HIV+ artists. Opening Awards Reception: Saturday December 8, 2018: 2-4 pm. Eddie Bruckner will exhibit 3 pieces of artwork on display at the Attleboro Arts Museum. Please note the Museum will close December 25, 2018 and reopen January 3, 2019. Please check www.AttleboroArtsMuseum.org for more information. "6x6: Be There. Be Square - 2018"
Thursday, December 6, 2018, 6:30-9:30 pm during the Laguna Beach First Thursday Art Walk. GuitARTS! Public Art Project for Music Drives Us: "Music, Love & Rock 'N' Roll"
in front of Analog Devices, One Technology Way, Norwood, MA. 441 Providence Highway "On The Automile", Route 1, Norwood, MA 02062. Eddie Bruckner's Public Art Installation "#JumpNatick"
#JumpNatick on view through November 17, 2018. ​27th Benefit Art Live and Silent Art Auction; Auctioneer: Chris Barber, Skinner. Please check www.AttleboroArtsMuseum.org for more information. $8 Admission; $6 Seniors; Free Admission for Students. 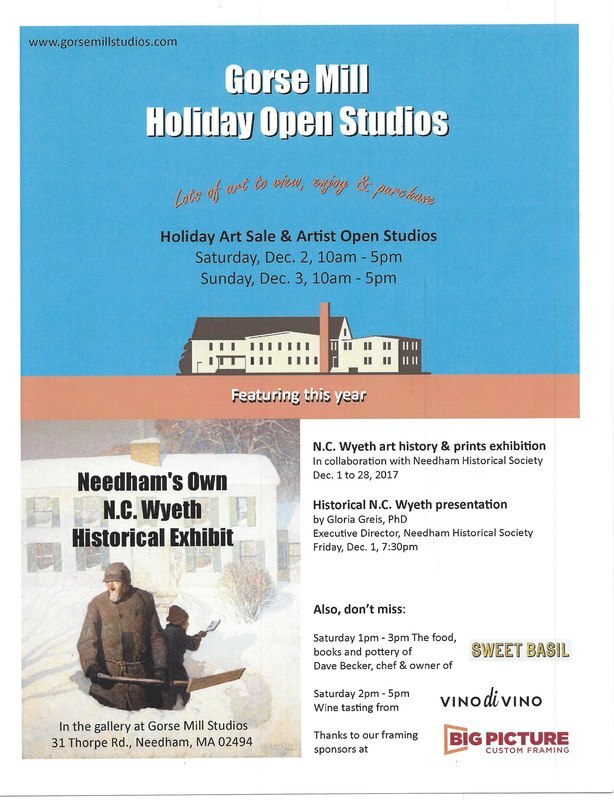 The Needham Craft Fair & Silent Auction is an enormously popular shopping event combining a juried craft show along with a silent auction. Each year, the event draws savvy shoppers and generous bidders from all over Massachusetts. Get your holiday shopping out of the way early! ​Find Eddie Bruckner at the 20 Academy Street Location! 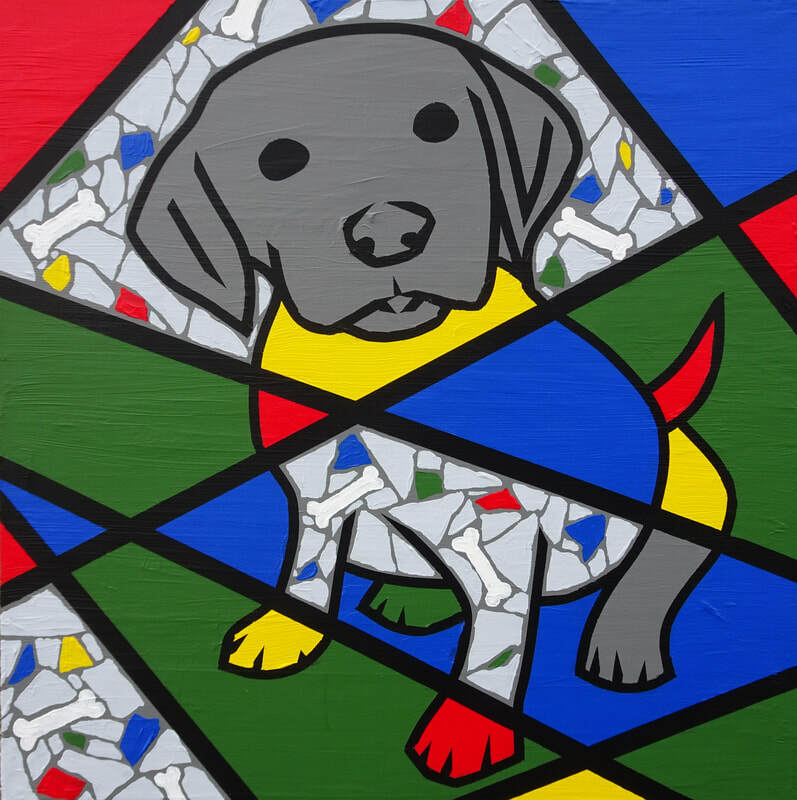 ​Arlington Town Hall, 730 Massachusetts Ave. & 20 Academy St.
Eddie's artwork will be on display along with other artists! "Awesome Road Trip To Boston #2" on Exhibit April 18, 2018-September 2018. "You Are Here" is a juried show featuring landscapes and cityscapes from around the world. Join us at the Opening Reception as we embark on a globetrotting journey with the help of a large-scale interactive map highlighting all the destinations depicted in the works of art on display. Boston Harborfest (June 29-July 1, 2018) is a 37-year-old tradition celebrating Boston’s harbor and history. Eddie Bruckner along with other artists will display and sell their work, curated by Artists Crossing, under the trellis in Christopher Columbus Park. Kids of all ages can Make and Take home their very own masterpiece using abstract art techniques! ​Eddie Bruckner's Original Hand-Painted Postcard on Exhibit in Canberra, Australia. ​Proceeds Support the Pegasus Riding For The Disabled of the ACT Inc.
Eddie Bruckner's Original "Blood Circus" Painting on Auction at the Boston-area premiere of the gritty fight action film, Blood Circus. ​​6:15 pm Red Carpet Event and Charity Silent Auction including a signed movie poster and Eddie Bruckner's original painting inspired by the film. 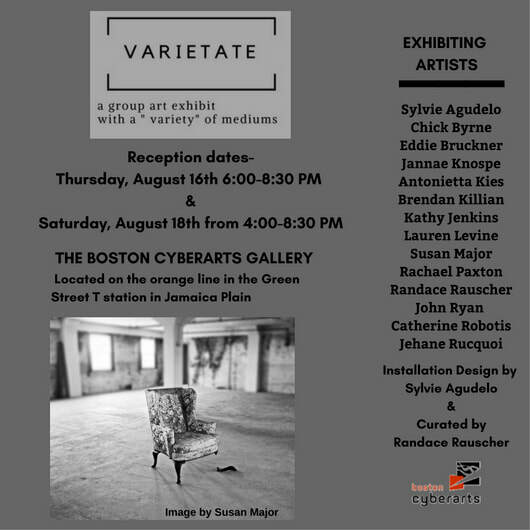 Eddie Bruckner will exhibit 3 pieces of artwork on display at the Attleboro Arts Museum. Please note the Museum will be closed December 26, 2017 and reopen January 6, 2018. Please check www.AttleboroArtsMuseum.org for more information. This exhibition explores humor through art. It is all too easy to take oneself too seriously at times. ​Joke’s on You encourages levity through visual expression. "Avocado Transformation" on Exhibit December 15, 2017-January 26, 2018. "Mosaic Color Grid: The Dance, Structure & Movement" on Exhibit September 22, 2017 through December 8, 2017. "Skewed Color Grid With Sparkled Mosaic" on Exhibit September 13, 2017-April 2018. Eddie Bruckner will join more than thirty local artists and artisans displaying and selling artwork and unique gift items. Check Out The Flyer Here For More Information! Saturday 1-3 pm The food, Books and pottery of Dave Becker, chef & owner of Sweet Basil. ​26th Benefit Art Live and Silent Art Auction; Auctioneer: Chris Barber, Skinner. Please check www.AttleboroArtsMuseum.org for more information. 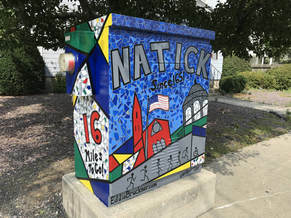 Dedication Ceremony for "Natick Pride & The Boston Marathon"
The Public Art Committee of the Natick Center Cultural District invites you to the unveiling of the completed electrical boxes completed by artists, Catherine Gruetzke-Blais and Eddie Bruckner. Held on October 22nd at 1:00 pm beginning at 2 Washington St. Following the dedication of Cathy's electrical box, guests will walk to Eddie Bruckner's electrical box located on the Corner of East Central Avenue (135) and Dewey St., at the intersection of Union St. in Natick, MA. Or meet everyone at Eddie's Electrical Box around 1:25 pm ( perhaps +/- 5-10 minutes). "Mosaic Color Grid: The Dance, Structure & Movement" on Exhibit April-September 2017. "Woof Woof! Gotta Get My Bone" on Exhibit October 2016-April 2017. "Awesome Road Trip to Boston #1" on Exhibit March 7-19, 2017. 5 Summer Street, Natick, MA. 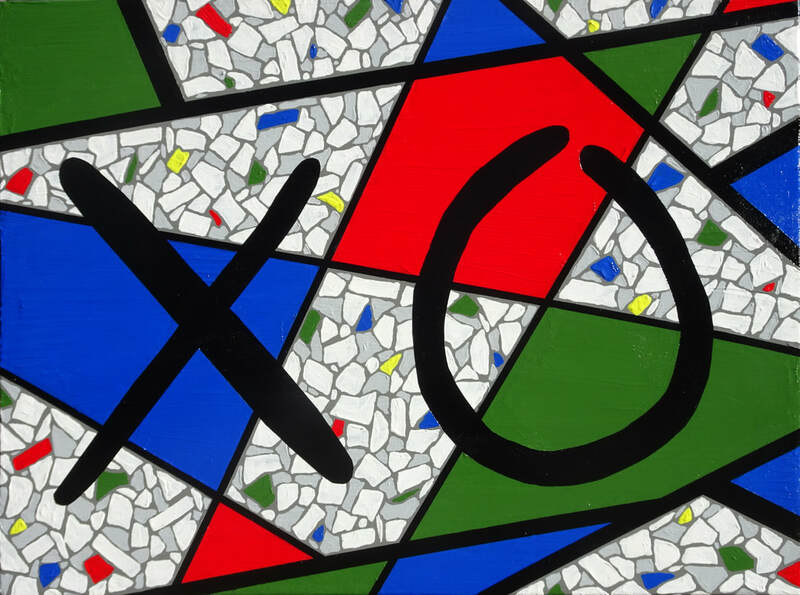 September 29-October 31, 2016: Eddie Bruckner's "Mosaic color Grid: The Dance, Structure & Movement" exhibited at the Natick Center For The Performing Arts (TCAN) at 14 Summer St., Natick, MA. September 1-October 29, 2016: Check out the new painting, "Honey, I'm Home!" exhibited as part of the Group Show "House" at the Morse Institute Library: 14 E. Central St. Natick, MA. See Eddie Bruckner's Painted Vintage Radio and two of his Boston-Themed Paintings! Barry’s Shop is a one of a kind art experience that combines a retail shop, working art studio, and learning/workshop space in one space at 267 Western Ave, Allston. Barry’s Shop features events, programs, and a rotating collection of curated work by local and regional artists and designers open to the public each weekend from May 6 to June 5. Barry’s Shop is a program of Zone 3, a Harvard-sparked initiative to explore experimental programs, events, and retail along Western Ave.
​"Bursting With Love" and "Disney Times Square" on Exhibit April 2017. Eddie Bruckner had 3 pieces of artwork on display at the Attleboro Arts Museum. ​"Bursting With Love" on Exhibit November 1-30, 2016. Opening Reception: Thursday, May 26th from 7:00-9:00 pm. On the evening of May 14th, 2016 the Jamaica Plain Arts Council and Jamaica Plain Neighborhood Development Corporation will project artists’ images at sundown onto the outside walls of Jamaica Plain’s Brewery Complex. People will be able to view the art in a relaxed, exciting atmosphere, while enjoying live music, food and drink from local JP establishments.